Pizza, pizza, pizza. We get pizza every Friday in our office and most Fridays, I skip it and grab take out from the vendor on the corner. For someone who loves pizza, sometimes I can’t bring myself to eat plain old cheese pizza. It’s my favorite but some days, I just can’t do it. I loved the idea of this different no-tomato style pizza, Pear, Blue Cheese, and Bacon Focaccia-Style Pizza. Okay, I admit my pizza dough isn’t “focaccia-style” because I take short cuts when it comes to pizza dough. Yes, I know I can make it myself and yes, I know it will probably taste better. But let’s face it, when I want pizza, I’m not waiting hours for dough to rise. Get in my belly! Cooked bacon (in typical fashion, I used turkey bacon), red onions and blue cheese are layers over creamy ricotta mixed with a little nutmeg for extra flavor. 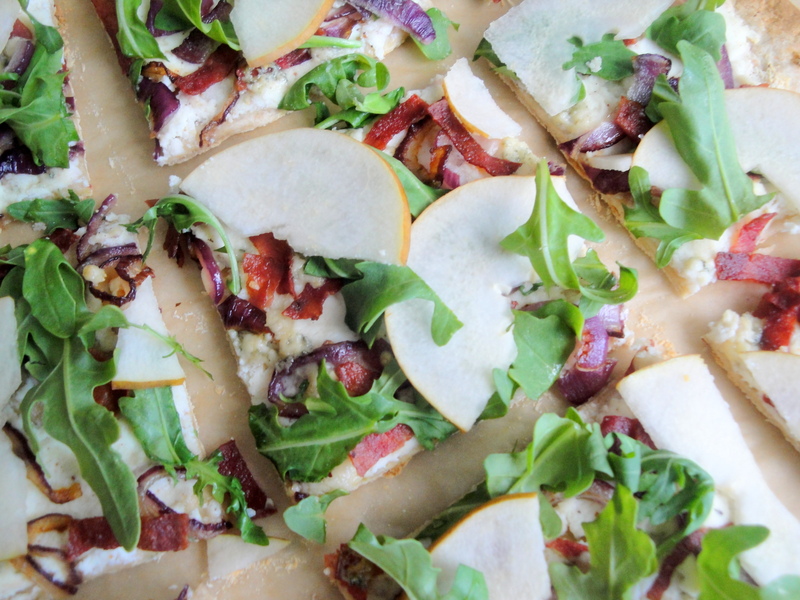 After baking in the oven, the pizza is topped with thin Bosc pear slices and vibrant arugula. There are so many layers of flavor in the pie. For someone who never used to eat blue cheese, I found myself enjoying the bites with blue cheese the best (I used Gorgonzola) and wished I had used more. Not feeling pears during the summer? Juicy peaches would be a great substitute. If you are having a lazy weekend day and want to make your own dough, go for it. Please let me know what I’m missing out on. Cook bacon in a nonstick skillet over medium heat until crisp. 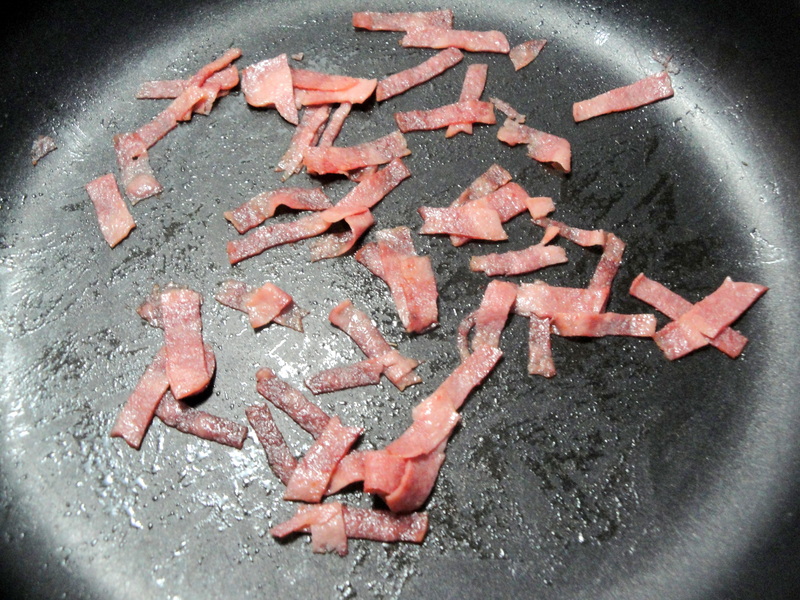 Remove bacon from pan with a slotted spoon. Return pan to medium heat. 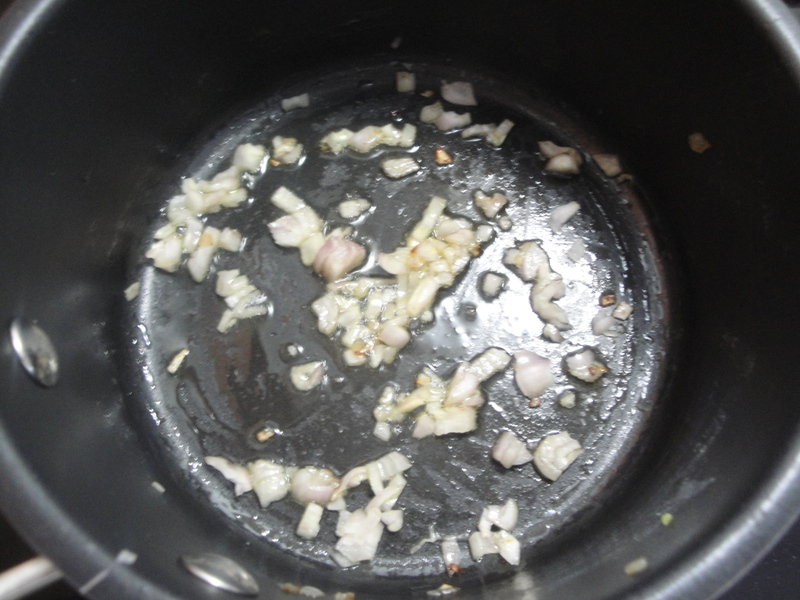 Add onion to drippings; cook 4 minutes or until tender, stirring occasionally. 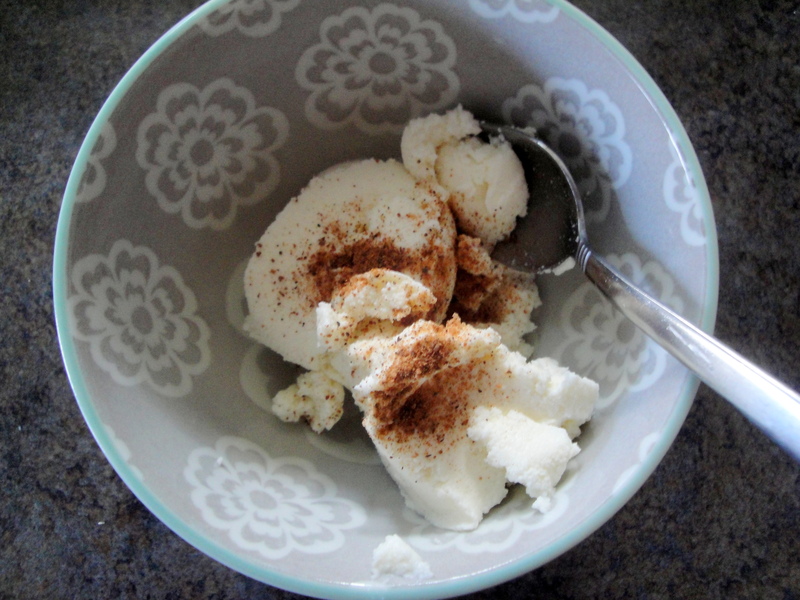 Combine ricotta and nutmeg in a small bowl. 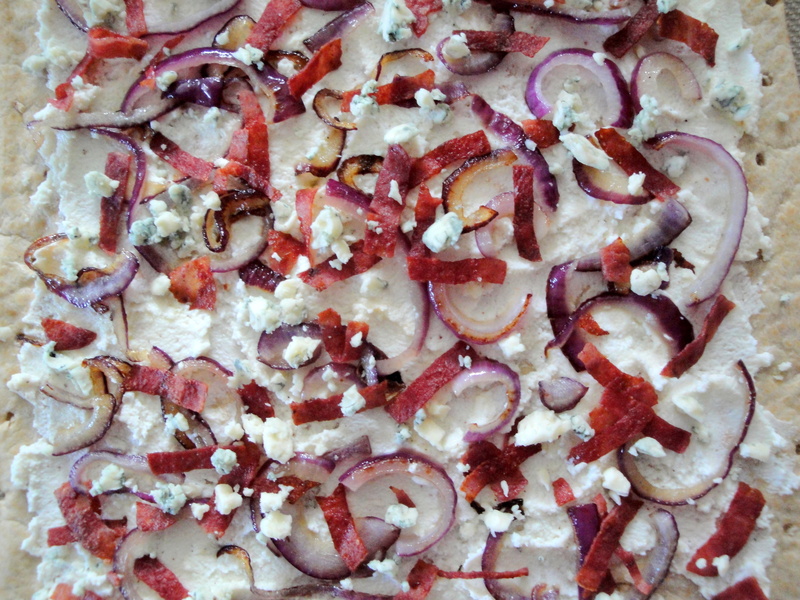 Spread ricotta mixture over dough, leaving a 1/2-inch border; top evenly with bacon, onion mixture, and blue cheese. Brush edges of dough with remaining 1 teaspoon oil. Bake at 450° for 12 minutes or until edges are golden. 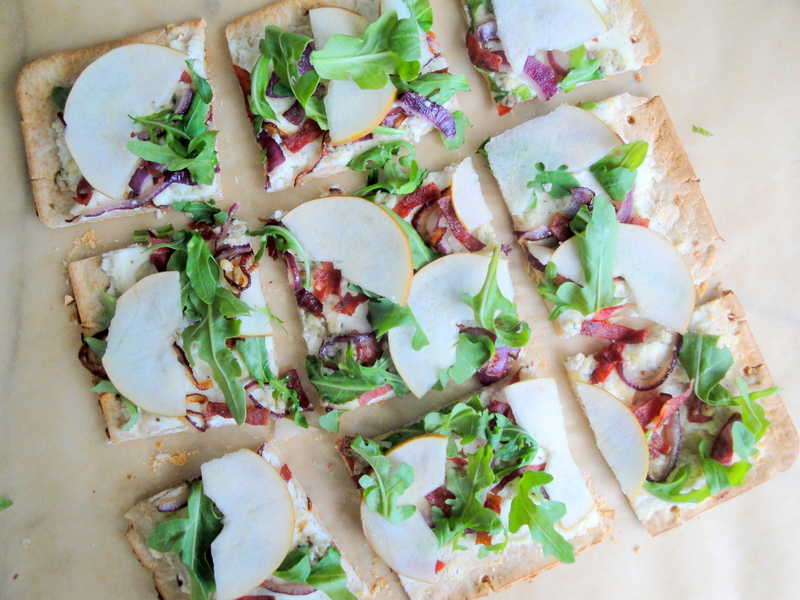 Top pizza evenly with arugula and pear; sprinkle with pepper. 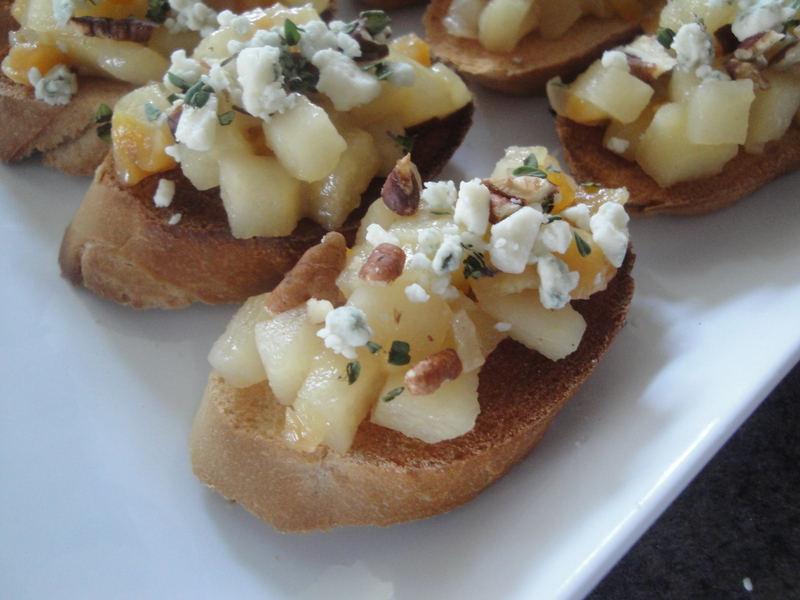 This recipe for Pear Chutney Bruschetta with Pecans and Gorgonzola stopped me in my tracks when I first saw it. The original recipe uses blue cheese but as you may know, I’m not a blue cheese fan so I took a leap of faith and used gorgonzola (which I’d never had before) instead. This appetizer did not disappoint. It’s sweet yet savory, tart yet fresh. 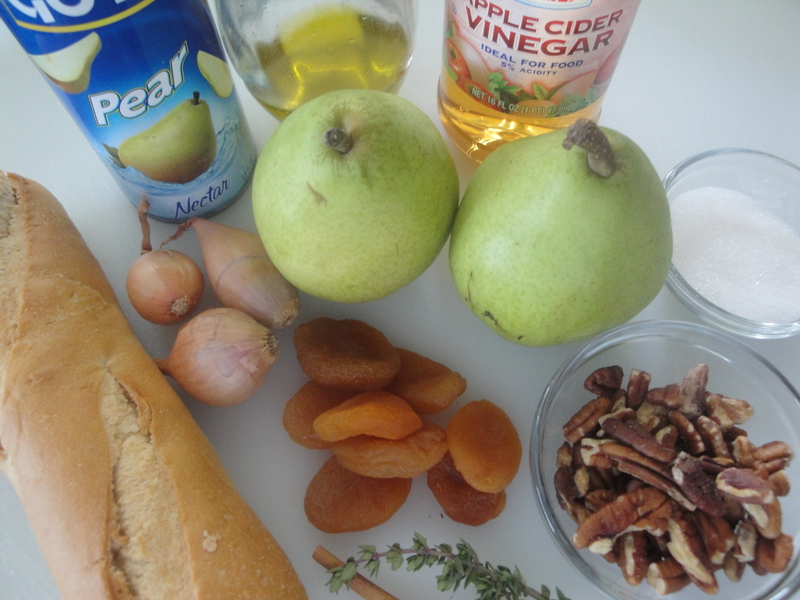 Slices of french baguette are toasted and topped with pears (cooked with shallots and dried apricots), toasted pecans, gorgonzola crumbles, and fresh thyme. I really loved the contrast between the sweet Bartlett pears and the tangy cheese. 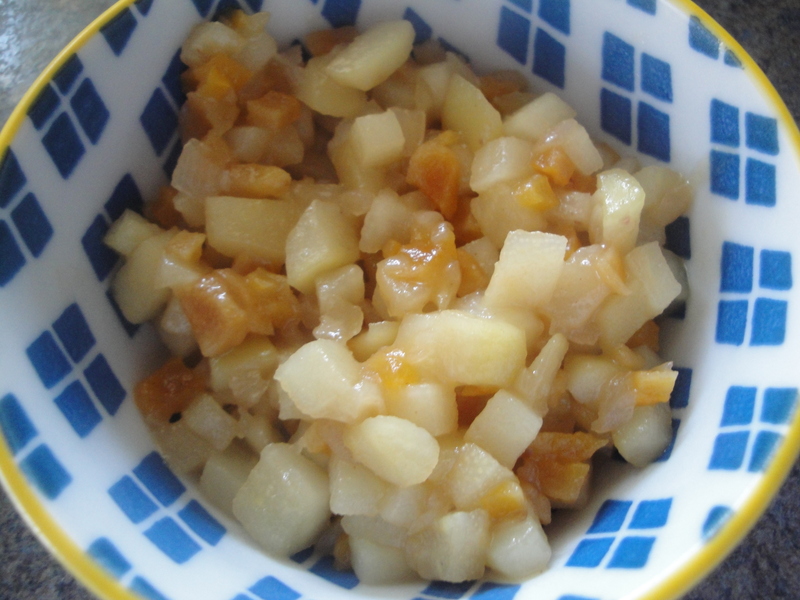 The addition of apple cider vinegar in the pear topping provides the slightest hint of bitterness which cuts through the sweetness of the pears and adds to the layers of flavors in this dish. The toasted pecans bring a delicious nuttiness and the thyme provides and herby freshness. I left out the chives from this recipe only because I didn’t have any but it doesn’t matter. I can’t rave about this bruschetta enough just the way it is! 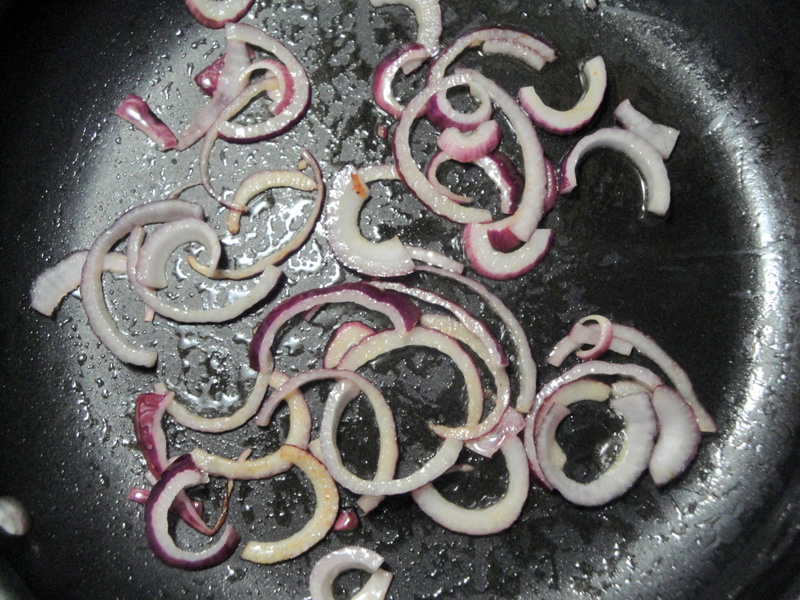 Cook chopped shallots in olive oil until soft. 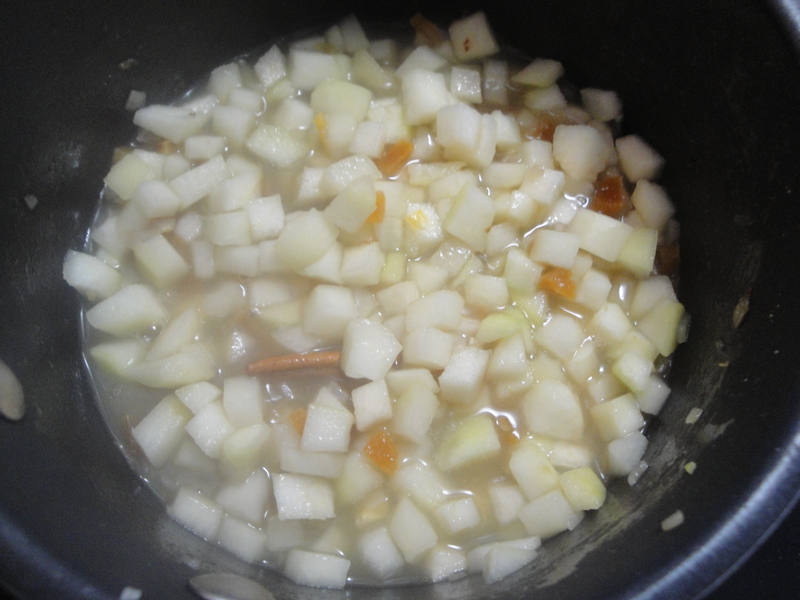 Add in chopped pears, dried apricots, sugar, cider vinegar, salt, and cinnamon stick. Bring to a boil and reduce to a simmer. Cook for 20 minutes and cool to room temperature. 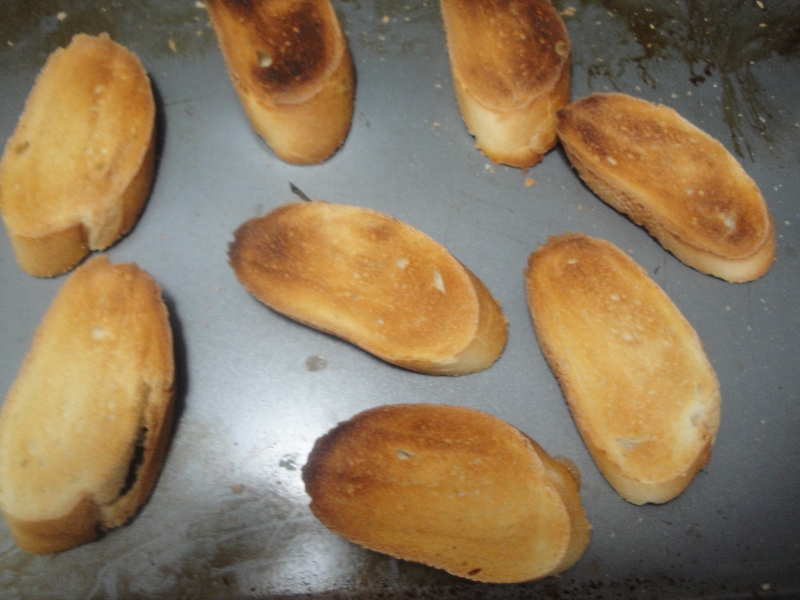 Meanwhile, broil baguette slices in the oven until toasted. In a small pan or skillet, add pecans and toast on a low heat until fragrant. 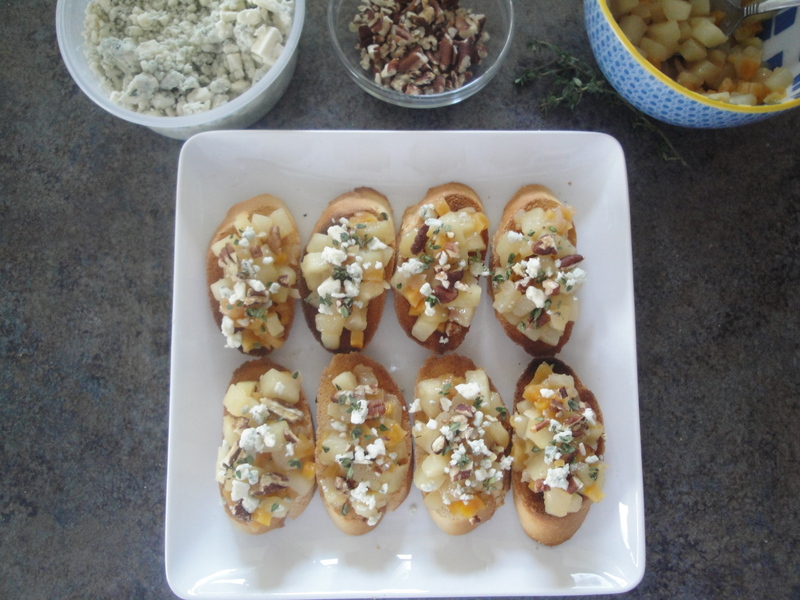 Top toasted baguette slices with pear topping, gorgonzola crumbles, chopped toasted pecans, and fresh thyme. I hope everyone had a great Thanksgiving! Yesterday I made special Turkey Day cocktails which celebrated some of autumn’s delicious flavors. 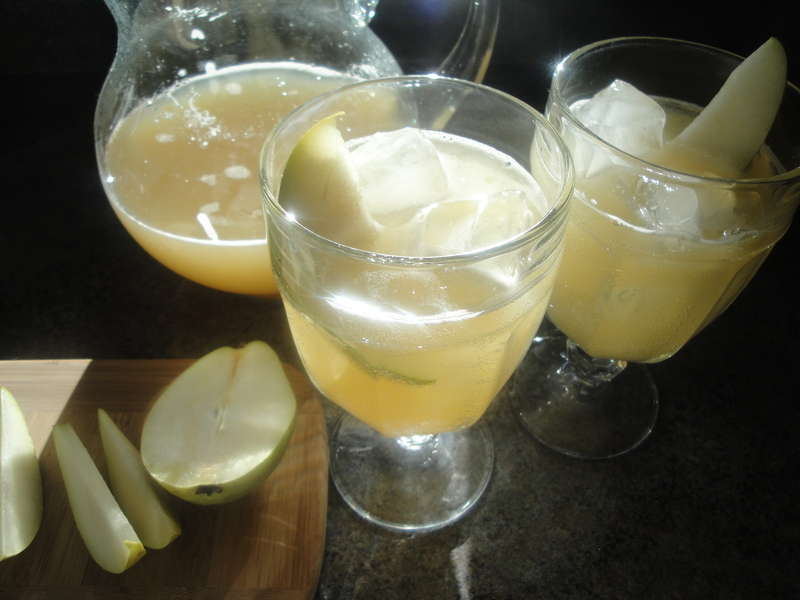 These Pear and Sparkling Cider Cocktails contain pear nectar, sparkling apple cider, seltzer water, and a little bit of bourbon. I poured myself one of these early Thanksgiving morning and enjoyed it’s refreshingly light taste. I gave this cocktail to my family who all agreed that this would be ideal for a brunch (we drank the whole pitcher before noon!). 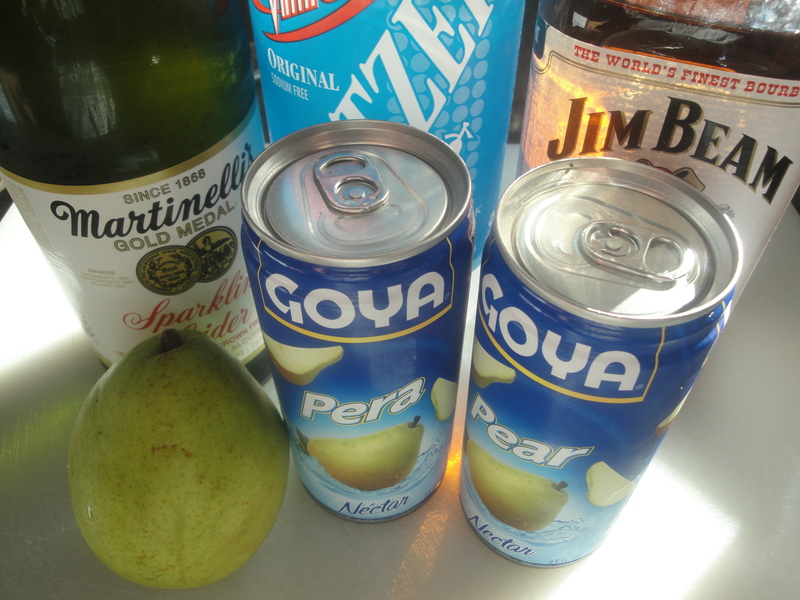 I love the flavor of the pear in this drink but if you can’t find pear nectar (I searched three grocery stores before I finally found it tucked away in the international foods section of my local store), this cocktail would also be good with mango or peach nectar. No matter how you make it, this fizzy little beverage is one to try, holiday or not. If you like this, check out Ginger Apple Bourbon. 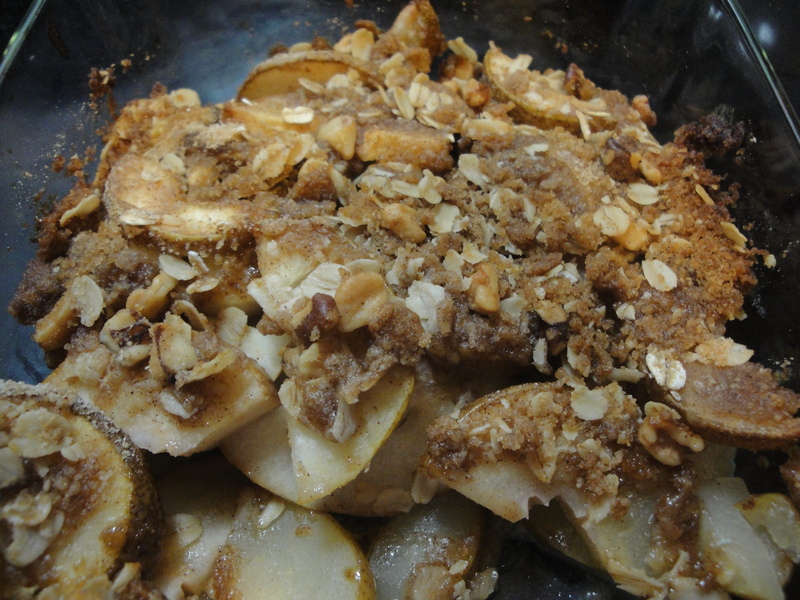 Apple crisp was a common dessert made in my house growing up but it’s not something I think to make now. 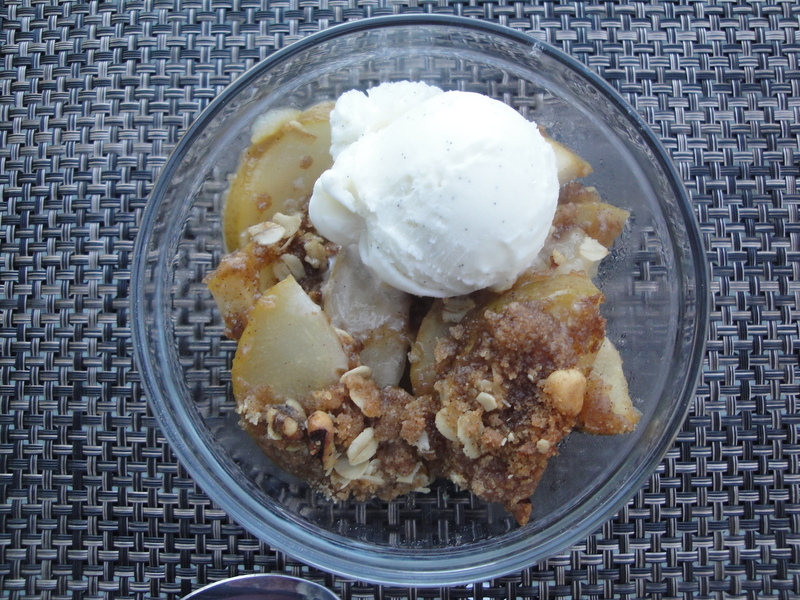 When I came across this recipe for Harvest Pear Crisp, I knew immediately I had to make it. Pears don’t get much better than they do in the fall and this dish celebrates their sweetness. Sliced pears are mixed with lemon juice to keep from browning and topped with a crumble of brown sugar, cinnamon, flour, butter, and oats. My food processor isn’t working so I made the crumble using a fork and it turned out just fine. But I must tell you a secret: I messed this up. I didn’t realize until after I put the crisp in the oven that I left out two ingredients entirely. A mixture of granulated sugar and cornstarch that was supposed to be added to the sliced pears and lemon juice never made it into the dish. After assuming I’d have to make the dish again, I was pleasantly surprised with the outcome. The brown sugar in the crumble, plus the pears, added enough sweetness to this dessert that it didn’t really need to be sweeter. In fact, if I make this again (which I probably will! ), I’ll make it the exact same way. 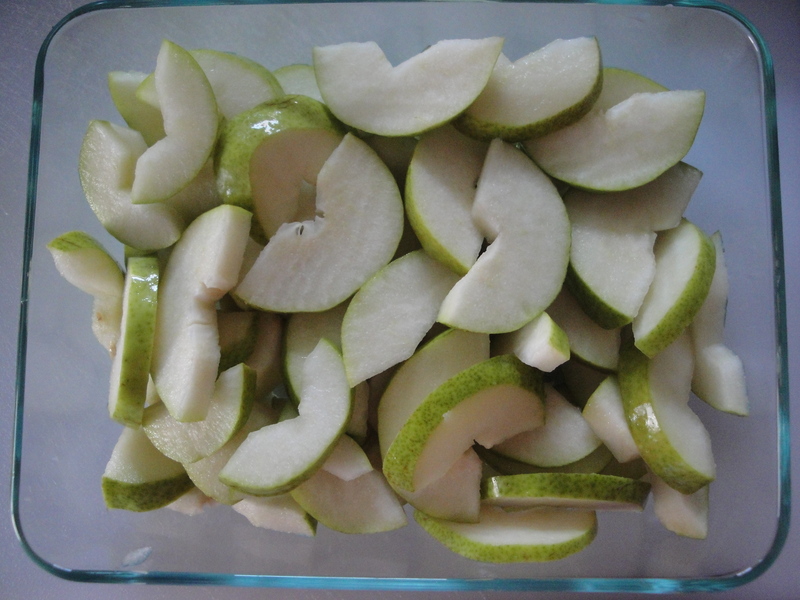 Slice the pears and mix them in a bowl with lemon juice (and sugar, cinnamon, and cornstarch if you choose to follow the recipe like I didn’t). 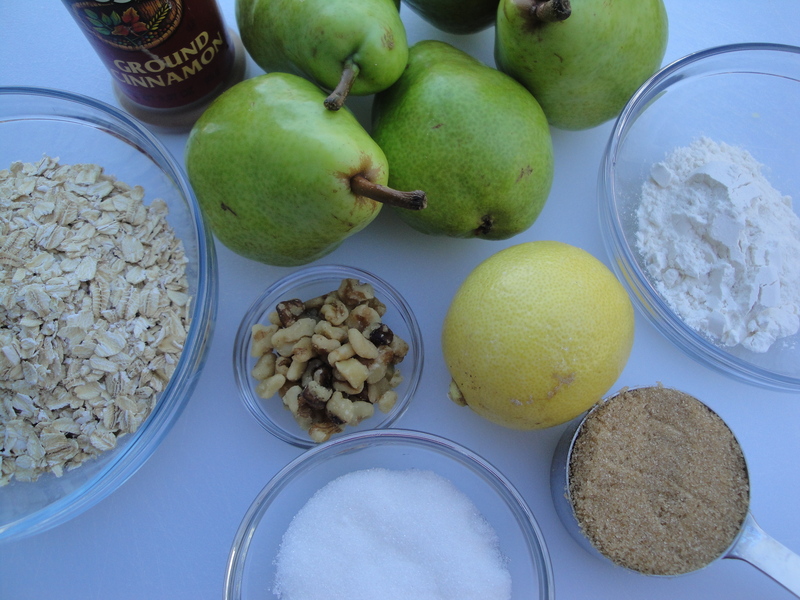 Pour pear mixture into a baking dish. 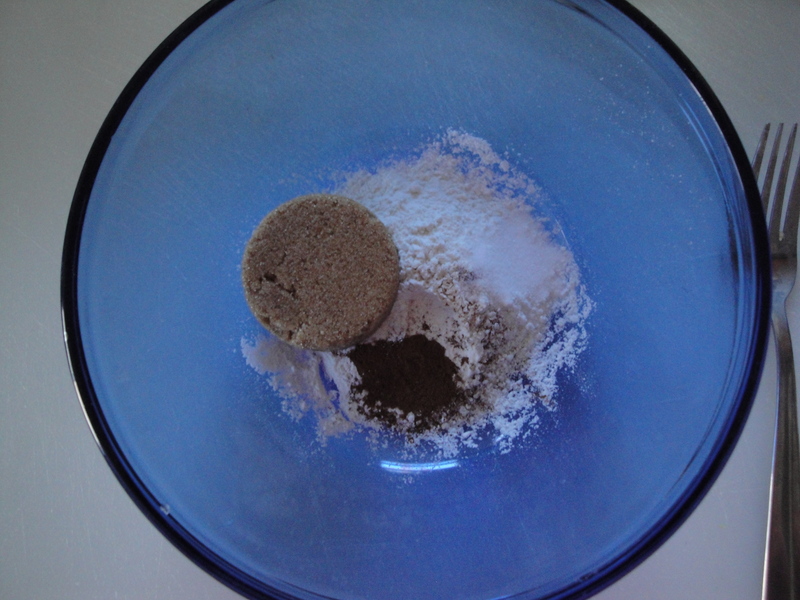 In a separate bowl or food processor, combine flour, cinnamon, brown sugar, and salt. Cut in cold butter with a fork (or food processor). 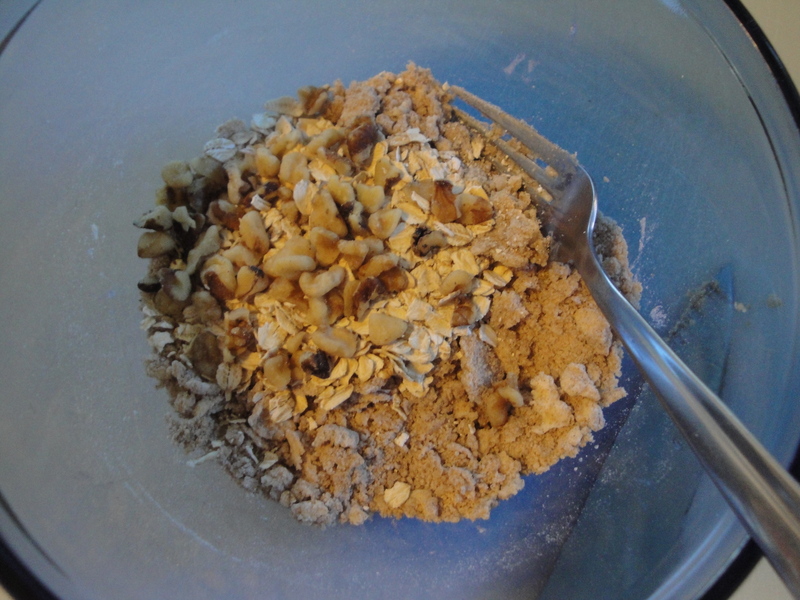 Mix in oats and chopped walnuts. 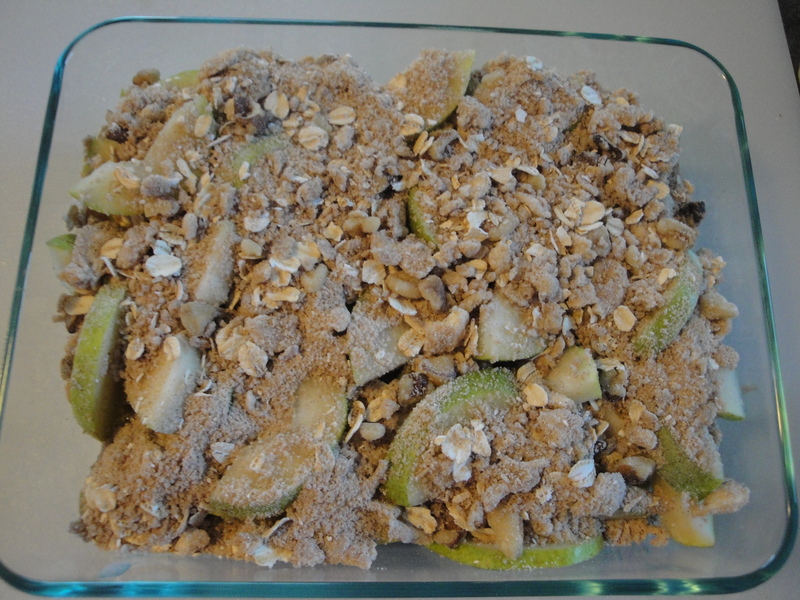 Pour crumble over pears in baking dish. Bake at 375°F until pears are tender (mine took 45 minutes). Serve warm (with vanilla ice cream if you so desire).